morningshop.jpg, originally uploaded by tinkerellen. 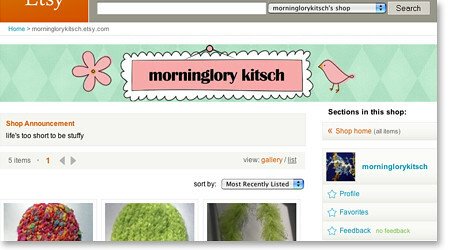 here's the banner i created for kareesta's shop at etsy. there's also a button. which i urge everyone to steal and place on their site. she's basically a stay at home mom who's trying to raise money for a really good cause. even though that cause is a secret. so help her out and link it up.